124 Beacon is located on the north side of Beacon, between Arlington and Berkeley, with 122 Beacon to the east and 126-128-130 Beacon to the west. 124 Beacon was built ca. 1859-1860. It was originally numbered 112 Beacon, but re-numbered as 124 Beacon ca. 1862. The land for 124 Beacon was purchased on April 1, 1859. from the Boston and Roxbury Mill Corporation by George Phineas Upham. 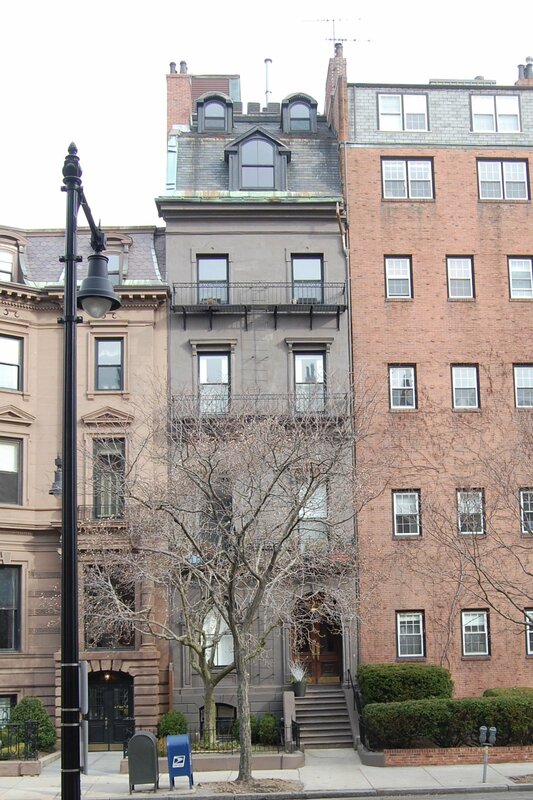 He and his wife, Sarah (Sprague) Upham, lived next door, at 122 Beacon. Click here for an index to the deeds for 124 Beacon. On January 24, 1860, 124 Beacon was acquired from George Upham by Charles Stoddard. 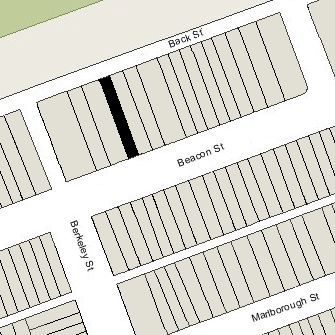 The deed conveyed the “land with the buildings thereon” and also notes that the house is one story higher than the house at 126 Beacon and that George Upham had paid the entire cost of the party wall above the roof of 126 Beacon, and the new owner of 124 Beacon was entitled to compensation for half the wall if an additional story was ever added to126 Beacon The deed was not recorded until April 30, 1860, which may indicate that the house was not completed until about that time. 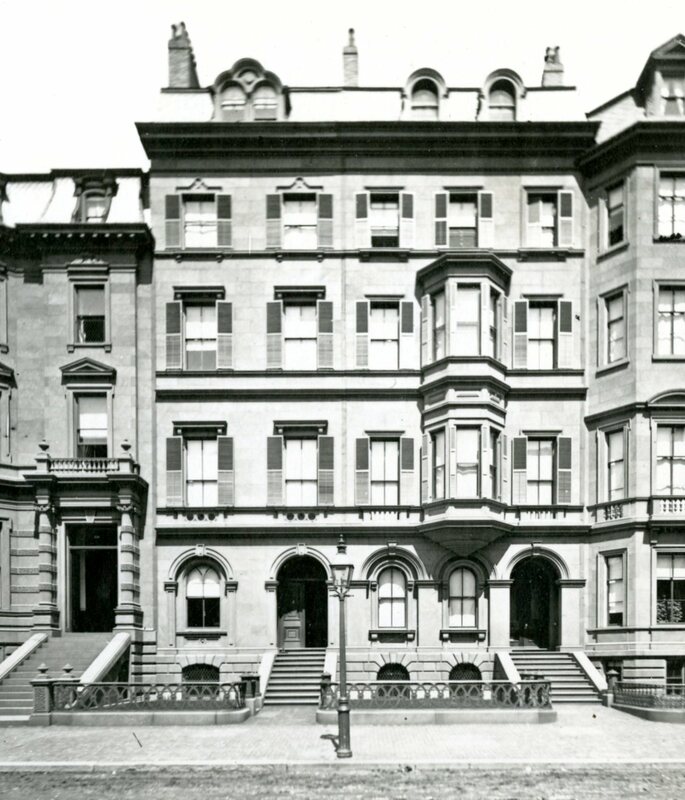 Charles Stoddard and his wife, Mary Abigail (Noble) Stoddard, made 124 Beacon their home. They previously had lived at 59 Hancock. He was a dry goods importer and merchant. Charles Stoddard died in April of 1873. 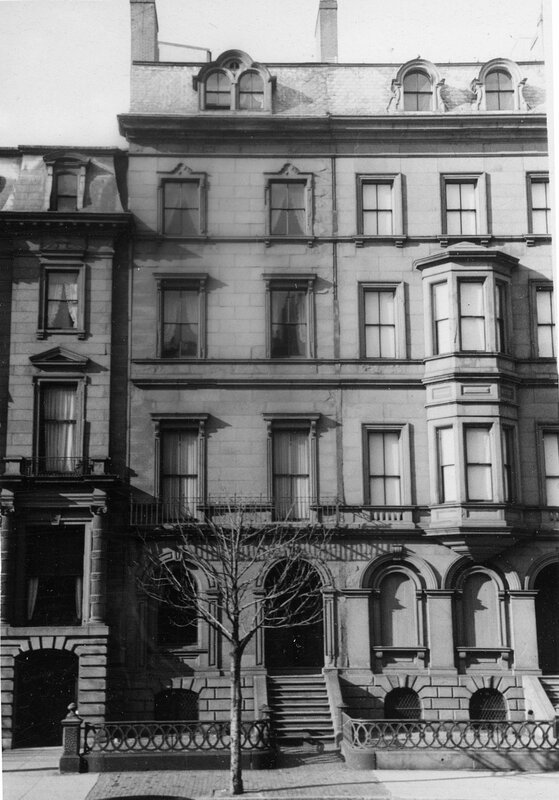 Mary Stoddard continued to live at 124 Beacon until her death in October of 1892. On February 28, 1893, 124 Beacon was purchased from the estate of Mary Stoddard by Dr. John Wheelock Elliot, a surgeon. He and his wife, Mary Lee (Morse) Elliot, made it their home, and he also maintained his medical office there. They previously had lived at 75 Marlborough. Their son, John Morse Elliot, an investment broker, lived with them. They also maintained a home in Needham. John Wheelock Elliot died in September of 1925 and Mary Lee Elliot died in 1926. John Morse Elliot continued to live at 124 Beacon and in January of 1928, he married Janet Pauling. 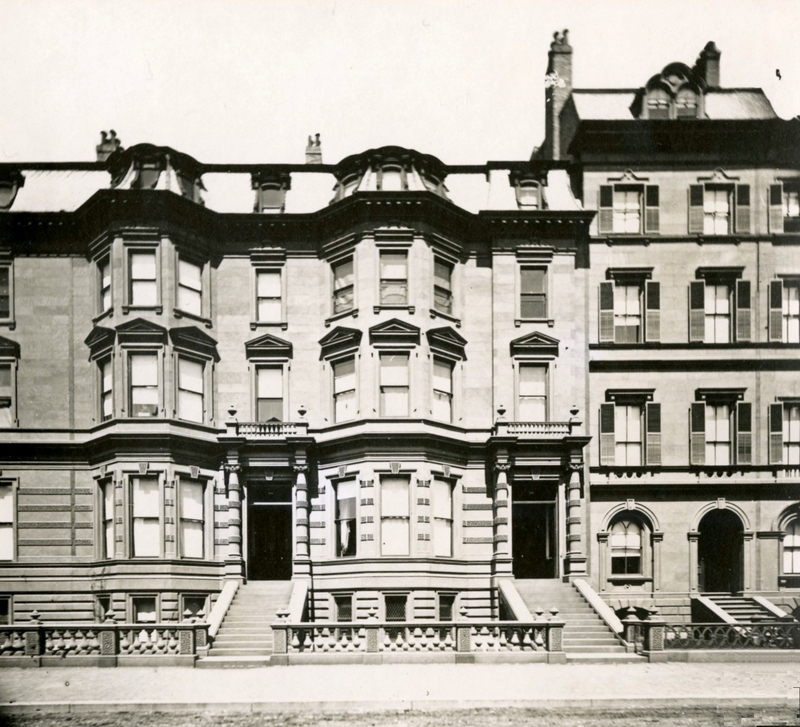 After their marriage, they lived at 124 Beacon until about 1935. They also maintained a home in Needham. On February 4, 1936, 124 Beacon was purchased from John Morse Elliot by Katherine (Graham) Howard, the wife of Charles Pagelsen Howard. They previously had lived in Reading, where they continued to maintain a residence. They also maintained a home in Marblehead. Charles Howard was an attorney. He served as a member of the Massachusetts State Senate, Chairman of the Massachusetts Commission on Administration and Finance (1925 to 1938), Treasurer of Middlesex County (1938 to 1954), and Commissioner of Banks (1954 to 1958). Katherine Graham Howard served as deputy administrator of the Federal Civil Defense Administration during the Eisenhower administration. During World War II, the Howards lived elsewhere and, in 1943, 124 Beacon served as the Canadian Army Enlistment Center. By 1945, the Howards were living there once again. In 1953, the house suffered fire damage and, in August of 1953, Charles Howard applied for (and subsequently received) permission to make repairs to the fifth floor and roof. It probably was at this point that two additional dormer windows were added to the top floor. Charles Howard died in June of 1966. Katherine Howard continued to live at 124 Beacon. In 1982 or early 1983, it was again damaged by fire, this time quite severely. 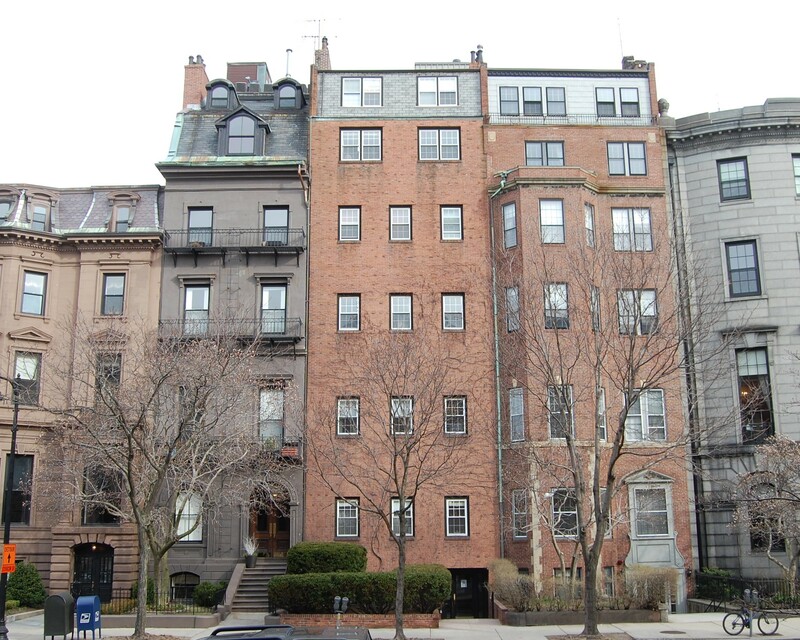 On January 24, 1983, Ronald V. Livesey and Chase F. Parker of the 124 Beacon Street Limited Partnership purchased 124 Beacon from the Howard Family. In March of that year, they filed for (and subsequently received) permission to repair the fire damage and convert the house from a single-family dwelling into a twelve unit apartment house. The property subsequently changed hands several times, including passing through two mortgage foreclosures. On April 30, 1996, 124 Beacon was purchased by Paul Zepf, trustee of the PZA Realty Trust. In early 2001, the original carriage house located at the rear of 124 Beacon was demolished, the work being done without a permit. On June 24, 2005, the PZA Realty Trust converted the 124 Beacon into twelve condominium units, the 124 Beacon Street Condominium.